The gardening is done on a vacated lot that is leased at a low price. The lot is in an old, residential neighborhood near the center of this city of 120,000. The condition of the housing varies widely. 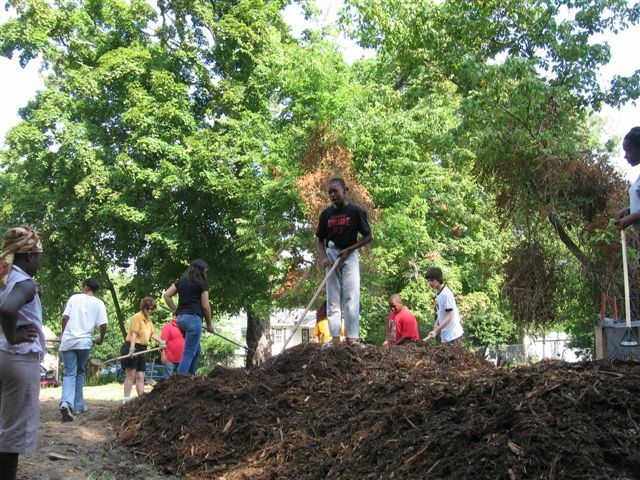 Each week, a group of high school students and teachers walks to the garden to volunteer, when school is in session. 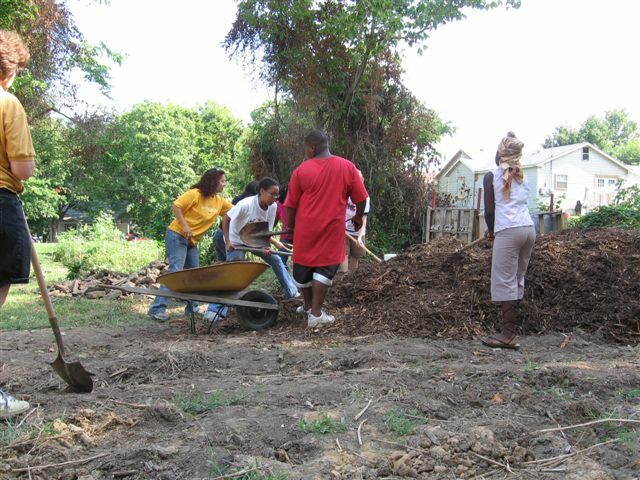 Also during the school year, neighborhood children work in the garden on Saturday mornings. When school is out, the neighborhood kids come one weekday morning and every other Saturday morning. Youth groups, such as Boy Scout and Girl Scout troops, have participated on occasion. Tennessee’s long growing period makes this a three-season program. We usually serve a meal during work sessions. 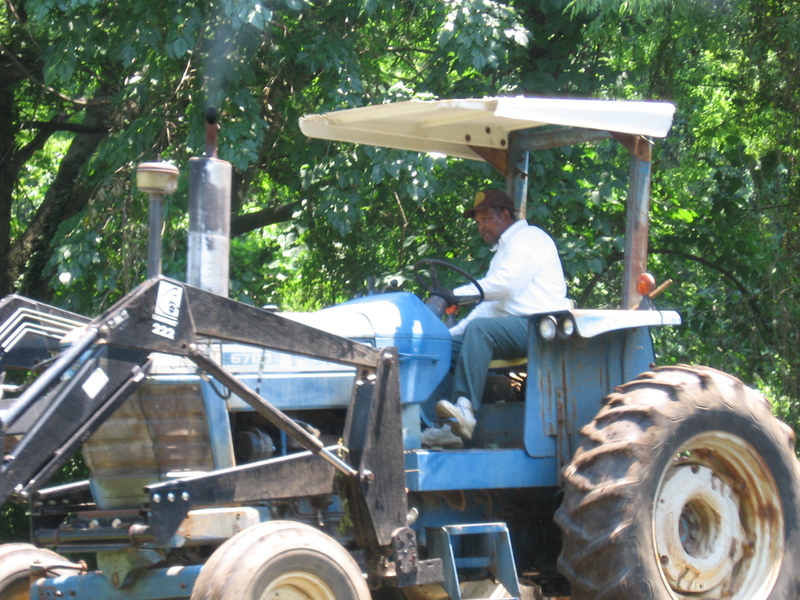 Cooking is done on site with propane or charcoal and sometimes uses produce from the garden. For Make A Difference Day, we invited the community to the garden for an afternoon of music, ethnic food , and information booths from various agencies. The primary leader for the garden lives one block away. 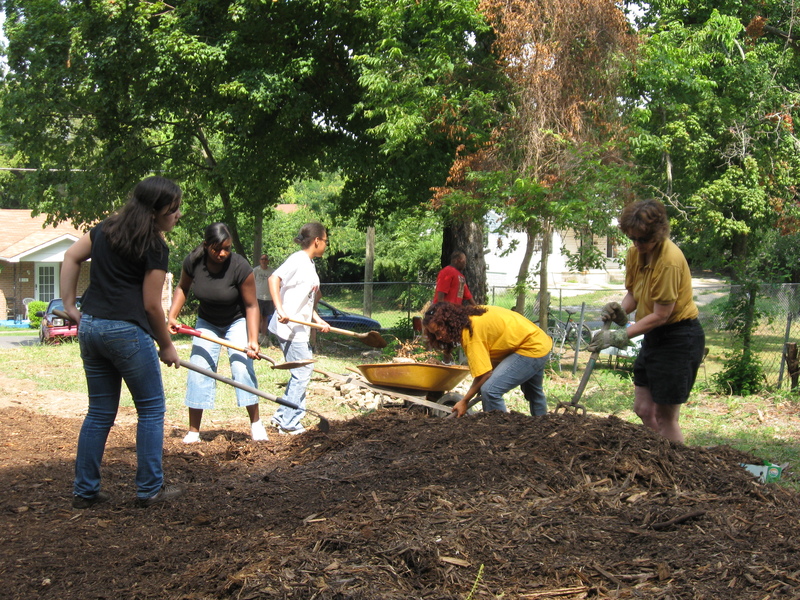 Other volunteers travel from elsewhere in the county to supervise the youth. Several of the volunteers are members of Master Gardeners. We get technical assistance from a county extension agent. 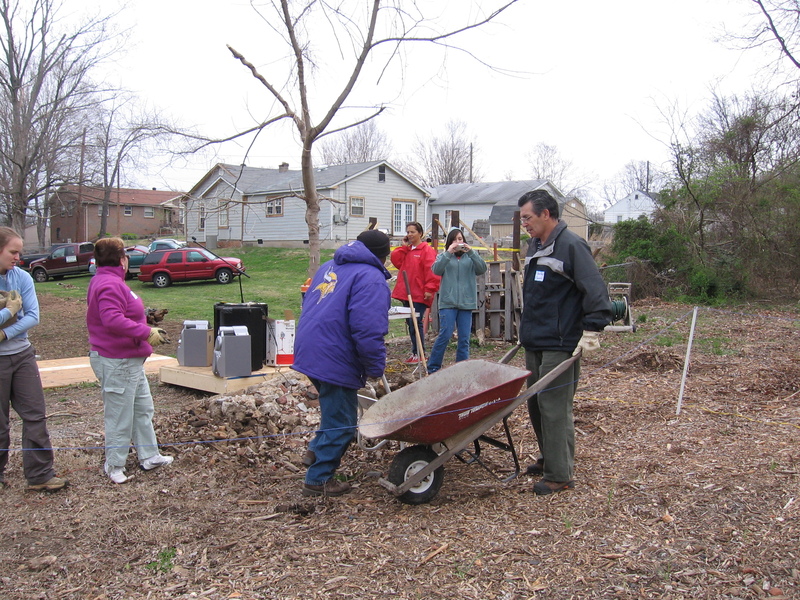 A key supporter is a staff member of a non-profit serving in the neighborhood. Our goal is to grow vegetables, herbs, and flowers with connections to Latin American traditions. We want to grow ingredients of Hispanic cuisine as a way to maintain a community conversation about cultures. 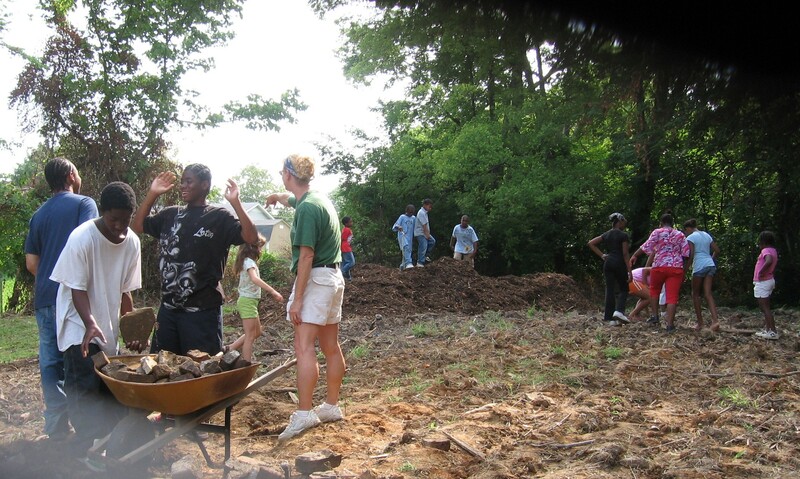 Karla Kean directs youth as they remove rocks and debris from the Hispanic Heritage Garden plot. Daniel Kasper, left, and Sasa Rivera paint instructions on the compost bin at the Hispanic heritage garden. Our thanks to Joe Davidson for building the bin.